Discussion in 'The Lounge' started by Da Peach, Aug 24, 2013. I'm finally on my last day, and just cruising today until I leave Dakar forever. I'll be going to go see MMike and folks for a few days, then back to Van for some family time. I'm sure I will be nostalgic about this one day... but getting out of here will be a sweet fruit. Time to get fit(ish) again. And because I never start these threads, I will treat you all to some KITH fun. Both boarding passes in hand... I got window. HI monkeys. Wake up WTF. Chores today...gotta keep my legs loose for a 10K race tomorrow. fun and kids in the hall should never be in the same sentence. great nights sleep in the camper, coffee in hand, time to set up the first aid station then make breakfast. Trying to get some cleaning and projects done around the house this weekend. Possible get together this evening for one of my buddy's birthday. Yup, that's about it. I want my 1:52 back. That was terrible. I had a run planned, but I woke up with either bad allergies or a head cold. Ugh. Awfully tempting to crawl back into bed. Leave an upper decker (on the curb, assuming the gutter is the sewer?) before you leave. It's a canadian thing, like steve smith thinking he looks good with a 'stash. I think you mean and "upper Dakar". 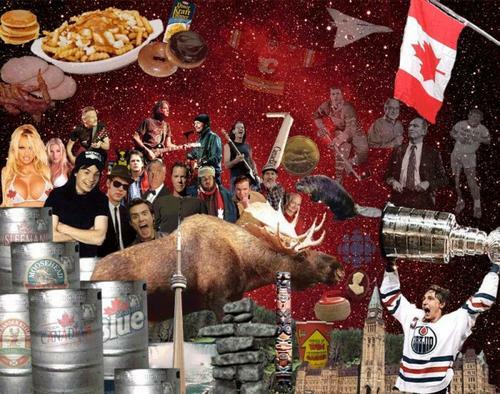 This thread is now about Canada. This thread is now about why, with the exception of Whistler, people hate Canada. And MMike. So far, my Canadian vacation has been awesome, don't get me wrong. It's beautiful, the weather is great, we're about to go swimming in the St. Lawrence seaway, etc. But OMG is Canadian beer terrible. Truly, truly awful. And expensive. Moring monkeys , trail ride done this moring and I was going to work today but f'it . I'm going to a padres v cubs game later today , stay frosty ! I needed anger management therapy to cope with my hatred for Rush. And now that ****ing song is in my head. Oh snap - you're gonna be back JUST IN TIME TO RIDE WITH ME!!!! Teehee, teehee. I'm gonna find you a tshirt. Amen. God what a sh1tty band. We can be fkucked up shoulder buddies! Gimme the deets, but I'm in not bike worthy at the moment. Worked today, now have a master set of keys for the full dealership... Holy crap it is like i am supposed to be responsible or some crap like that, thunderstorms on and off over the last two days and I gotta say, absolutely amazing lightning shows here. Montana is treating me well, thinking next saturday i can head over to big sky for some lift assited dh all day, but we will see.